GTC takes place May 8-11 at the San Jose McEnery Convention Center in San Jose, California. 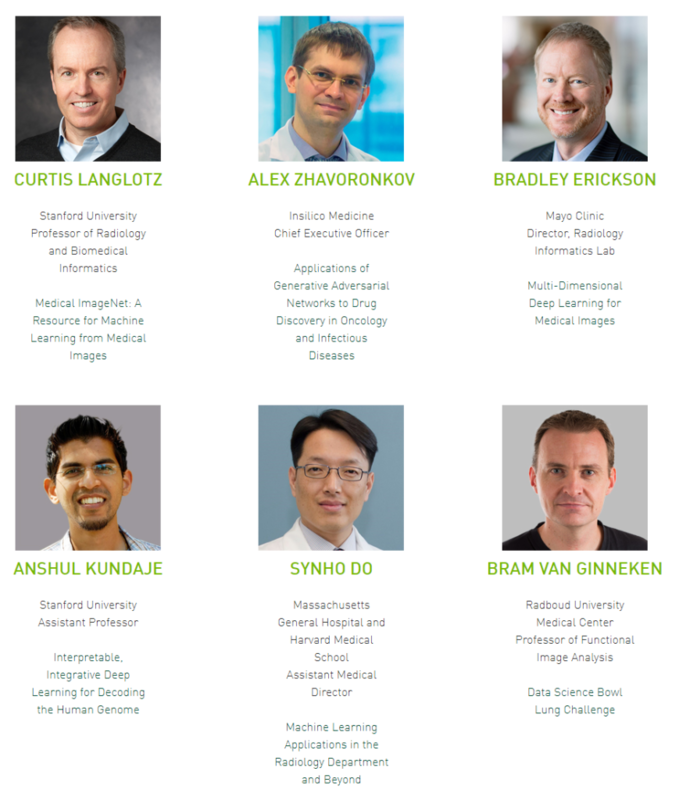 Learn about state-of-art and practical medical image machine learning projects, which will be tested in hospitals. Presently, high performance computing systems are the most crucial components of the machine learning system. They are relatively inexpensive and very efficient tool in the medical imaging. In addition, there are many open-source algorithms, published network topologies, and pre-trained parameters of neural network. You can also find solutions to error messages or tough questions through online communities. These novel tools and techniques are a great opportunity for people who are in medical imaging, bioinformatics, and radiology practices to expand their horizons. We’ll discuss three topics: (1) Projects and applications that can be developed and easily implemented. (2) Challenging projects with current technologies and how to overcome them. (3) Exciting new fields that we can tackle together.